A site that has very limited content will attract a very limited amount of attention. This a pretty easy concept to understand. When people search the net they are looking for information. They will not stay or return to a site that they stumble into if that site is basically void of information. If they discover it to be filled with helpful and interesting info they will bookmark it and return often. They will take that information and use it, email it to a friend and join in with their own information when given a chance. The next thing is accuracy of the information on your site. It is important to understand the difference between opinion and fact. If I am giving an opinion, on any subject, that needs to be clear to the reader. My opinions may be backed up by facts, by my faith or belief but they may not match the opinions of my readers. Differences of opinion can open the door to lively discussions and debates. If you enjoy debates and deep discussions, then feel free to include plenty of content that espouses your personal opinions and invite others to freely argue their points of dissent. This type of site can be very entertaining, challenging, informative and fun... It can also be difficult to maintain if you are shy about laying down a bit of groundwork, establishing rules and enforcing them. If your site is fact based, be ready to cite sources as needed. If the facts are based upon personal experience be sure to let your readers know that as well. The third and arguably the most important factor in a successful web site is how the content is delivered to the visitor. A well laid out site with easy navigation is important. A nice attractive appearance is also important. Your visitors will expect both of those things. But it is not your navigation or pretty layout that brought them to you. They came for the content. Content can be added in many different formats. Forums serve well for chat based sites but attracting new people or being picked up on the web searches to a strictly forum based site can be a real challenge. Articles are another format and are more likely to attract notice in the searches with How to...articles being among the most searched for. Databases are a very successful informational format on the web. I know this because an expert, Dave Whitinger, said so. 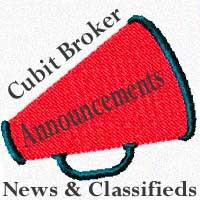 He is so confident of this that he not only gave each cubit owner a great tool to build their own databases but is currently discussing building a cubits database feature that will be able to span the universe of cubits and individual databases. Content, Content, Content! 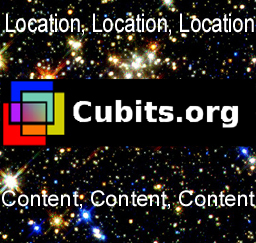 Videos, PDF files, Pictures, Maps, Diagrams, Articles, Pages, Databases, Links, Down loadable files...These features are all possible using the tools provided free here at Cubits.org. In addition to all that the community atmosphere is welcoming and help is available to answer your questions and assist you in ways to promote your site. 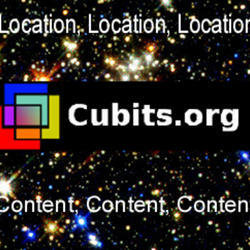 That makes Cubits.org the best Location to launch your Content ... and that is my personal opinion... based upon the facts.